10% Auto Insurance Premium Reduction for 3 years*! Upon completion, we’ll notify the New York DMV & provide you with the paperwork to provide your insurance company. Save 10%, for 3 years, of the motorist's liability, no-fault and collision insurance premiums. * Both our online and classroom defensive driver courses are approved by the New York Department of Motor Vehicles and, upon completion, will qualify you for all of the insurance discounts applicable under PIRP, the New York State Point and Insurance Reduction Program. By completing either of these courses, the state program entitles you to reduce your driver violation point total by a maximum of four points, and save 10 percent on your automobile liability and collision insurance premiums. Learn more about defensive driving classes and laws in New York. Get the facts on your insurance discount available through the course. Learn how the course can reduce existing points on your driving record. Give us a call at 877-NYSAFE1 and we’ll be happy to help you get registered, or just answer any questions you might have. We also have a variety of frequently asked questions you can peruse. We’ve created what we believe to be the best set of options for New York drivers seeking to participate in the defensive driving course: you can take our course online or with one of our affiliates near you. 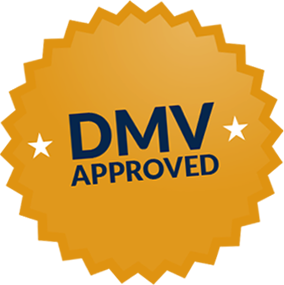 As a New York State Approved Provider #35, we have been awarded an official license by the DMV to provide this opportunity for any licensed New York driver – to receive 10% off of their liability, no-fault and collision insurance premiums. PIRP, also known as IPIRP when referring to the online course, provides this 10% insurance reduction, for 3 years. After that time, you can take the course again and receive the discount for another 3 years. You don’t need to change your insurance company or agent, and the discount is applied directly to your current policy. Do you have a traffic ticket? The perks of taking the course are even better for you, as our defensive driving course can also remove up to 4 points on your driving record. You will select this course if you would like to sign up for the Point Insurance Reduction Program (PIRP) online. Upon completion of this course, you will qualify for 10% reduction, for three (3) years, in the base rate of the motorist's current automobile liability, no-fault and collision premiums. * Successful completion of 320-minute Internet course by principal operator of insured vehicle provides 3-year, 10% premium reduction in base rate of motorist's current car liability, no-fault & collision premiums. ** Point reduction benefits can be applied once within 18 months and reduce as many as 4 points from record . Reduced points remain on the driving record but are not counted by NYS DMV against the license. Point reduction does not remove, delete, subtract or erase violations, convictions or points, or prevent or cancel a mandatory revocation or suspension for violations such as DWI, DWAI or three speeding violations within 18 months. *** Note that prices listed on this website are for the Internet course. Prices for classroom courses vary by location.